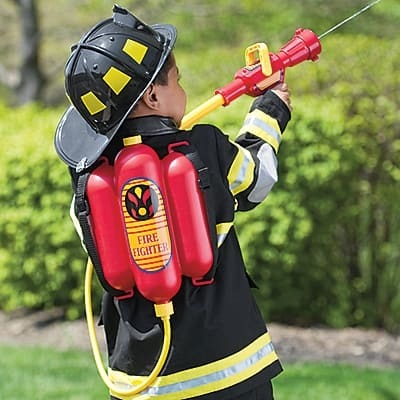 Save 50% on the Fireman's Toy Backpack Water Blaster, Free Shipping Eligible! This sale has expired. The Fireman's Toy Backpack Water Blaster is on sale for $8.95 at OneStepAhead.com today only. That's 50% off the regular price of $17.95! This promotional price is valid for today (3/17) only or while supplies last.